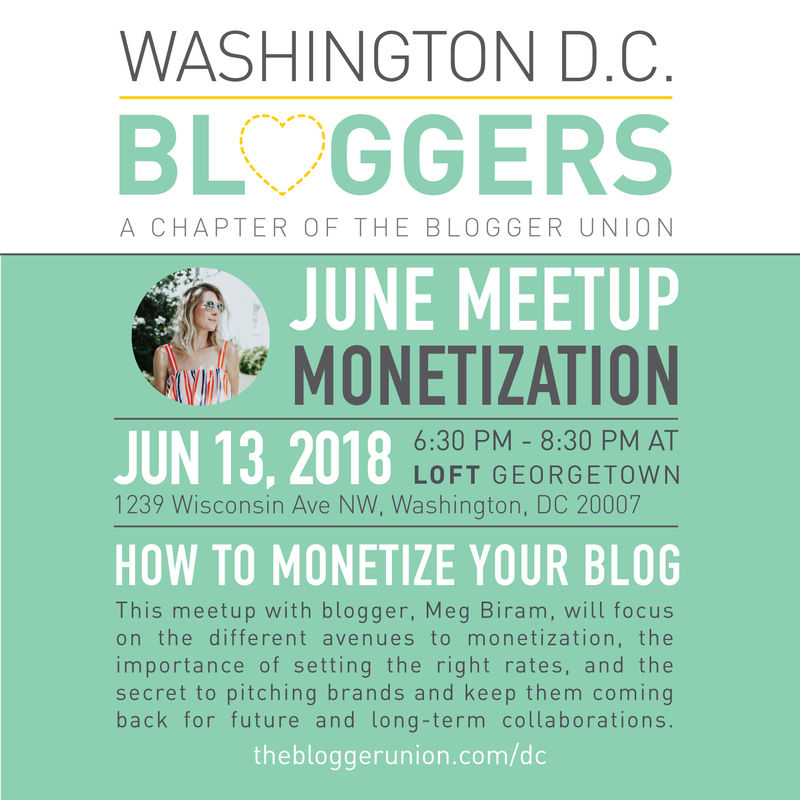 This meetup with blogger, Meg Biram, will focus on the different avenues to monetization, the importance of setting the right rates and the secret to pitching brands and keep them coming back for future and long-term collaborations. After receiving a journalism degree from the University of Missouri, Meg Biram went on to work at the headquarters of Hallmark Cards as a senior designer where she directed and styled photo shoots in the marketing department. After five years at Hallmark she moved to Washington D.C., and has been an entrepreneur in the online content world ever since. With over ten years of blogging experience, Meg continues to publish articles to her website daily, works on art-focused creative projects, styles and directs photo shoots, consults brands and businesses on blogging, online marketing, and how to work with influencers. Meg is also an artist and wine rep. Meg has worked with brands such as Nordstrom, CB2, Veuve Clicquot, Kate Spade New York, St. Regis Hotels, Jaguar, Amex Travel, Capital One, and Jo Malone London.